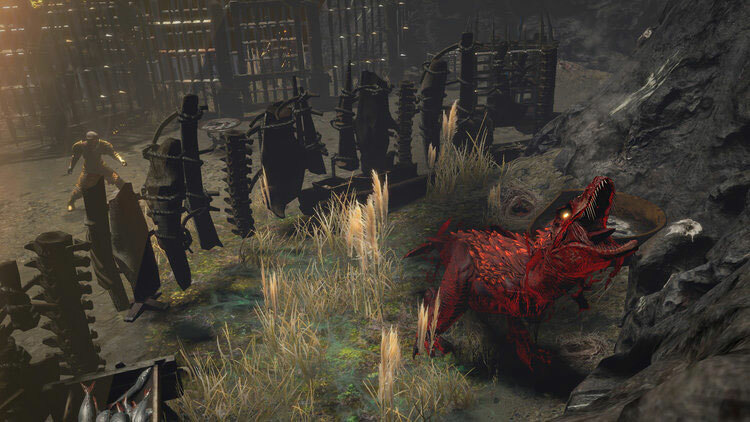 In the latest update, the Path of Exile developers significantly increase the incidence of beasts that provide access to the rare Spirit Beasts. After the initial euphoria over the last expansion and the beginning of the new Bestiary League, a bit of disillusion has started. Many players criticize the mechanics of capturing the beast etc. on the forums. In practice, many problems such as targeting the beasts, handling the nets or the beasts just died too fast. GGG's Path of Exile team has released a number of hotfixes to fix minor issues, including Necromantic Nets, to capture dead beasts. There were also new recipes and the option to Legendary beasts. The rate at which the rare Spirit Beasts appeared, or the beasts that allow players to open a portal into the beasts' spirit world, will be improved in the current patch. "Later today, we're deploying a change that greatly increased the rate that you encounter the four Legendary Beasts that grant access to the Spirit Beast fights. Bestiary has been running for two weeks so far, and we have kept a close eye on data regarding how many people are accessing the end-game content in the league. We initially avoided increasing the spawn rate of these beasts until we had deployed Beast Trading, as there were certainly economic implications of much easier economic access to these beasts. Now that we have Beast Trading data for a few days, we're comfortable with increasing how often you encounter these beasts. You'll now come across a Beast that grants access to one of the four Spirit Boss fights approximately once per 50 maps. We also wanted to note (as it's not widely known) that the Beasts that grant access to Spirit Beasts start appearing in Tier 5, 7, 10 and 13 maps respectively. This certainly affects how many are spawned, and while we're not changing it today, it's something we're keeping an eye on. The team have also been working on increasing the difficulty and reward of the Beasts that spawn once per area (the "yellow" ones), so that fights are more challenging. This goes alongside the improvements to their recipes we made recently, though the reward part was deployed first. They're also working on new recipes that use these mods for other rewards."